Virginia Woolf is an icon. We who love her know that. Now the BBC has recognized the fact. Once those seven are chosen, there will be an overall vote for the 20th century’s greatest icon. On Tuesday 29 January at 9 p.m. on BBC2, the Artists & Writers category will feature Woolf, as well as Pablo Picasso, Alfred Hitchcock and Andy Warhol. The program, presented by actress Lily Cole, can be found online after broadcast. Voting begins at the end of each program and the vote is open until 4 p.m. the next day. For Woolf’s category, the voting window is from 10 p.m. Tuesday, 29 January – 4 p.m. Wednesday 30 January, London time. To vote, you will need to create an account. Get more voting information. Ruth and Bhadveer are discussing the possible recipients of a coveted and soon-to-be-announced grant that will go to four second-year students in their program. Ruth has heard that Aisha is a likely candidate, but Bhadveer thinks not. 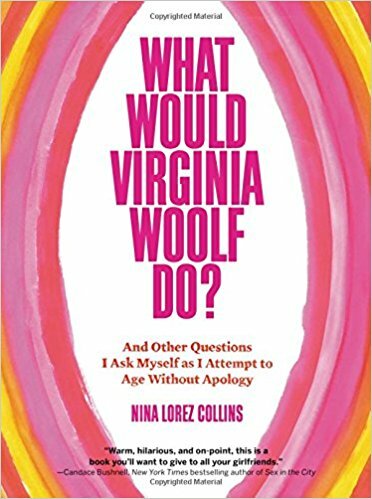 “Virginia Woolf was a babe.” Of the many foolish things I said in graduate school, this is the one that haunts me the most. But I didn’t regret it immediately. Bhadveer is one of the grant recipients—we learn this early in the story, so it’s not a spoiler. Chauvinistic blowhards sometimes prosper (as we’re well aware these days). And Virginia Woolf was a babe who wrote great literature. This just in: We now have an Italian Virginia Woolf Society. The society has a Facebook page, as well as a website, which society founders are working on making bilingual. 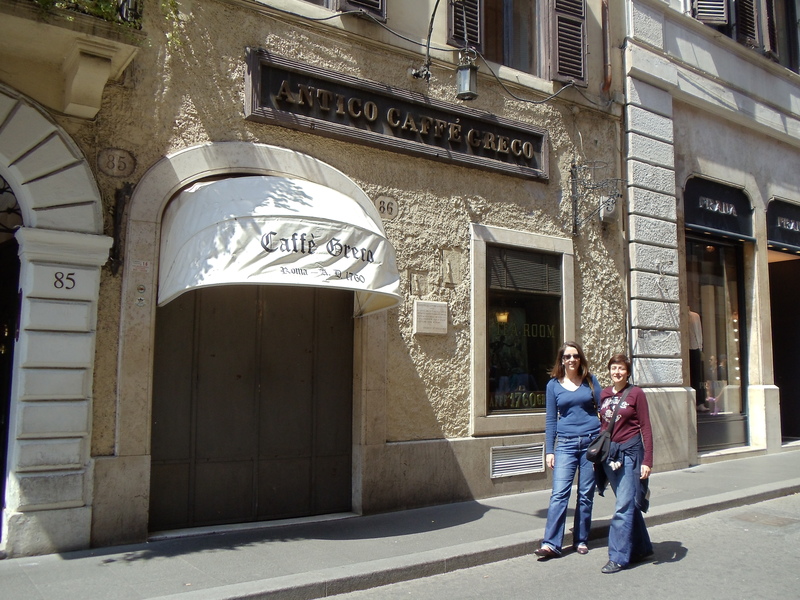 Iolanda Plescia and Valentina Mazzei outside the Antico Caffé Greco in Rome. We speculated that Woolf would have visited the popular spot for artists and intellectuals when she traveled to Rome in 1927. I recognize one name on this list. I met Iolanda Plescia, a scholar of Woolf and Shakespeare, at my very first Woolf conference at Miami University of Ohio in 2007. I saw her again when visiting Rome in 2010, and this time our meeting was planned. Together with sculptor Valentina Mazzei, we went on a Woolf pilgrimage of sorts. We visited the Spanish Steps as Woolf did and stopped in at the Hotel Hassler, at the top of the famous steps, where Woolf stayed during her 1927 visit to Rome. We then wandered to the Pantheon for a drink. For more information about the society, contact info@itvws.it. 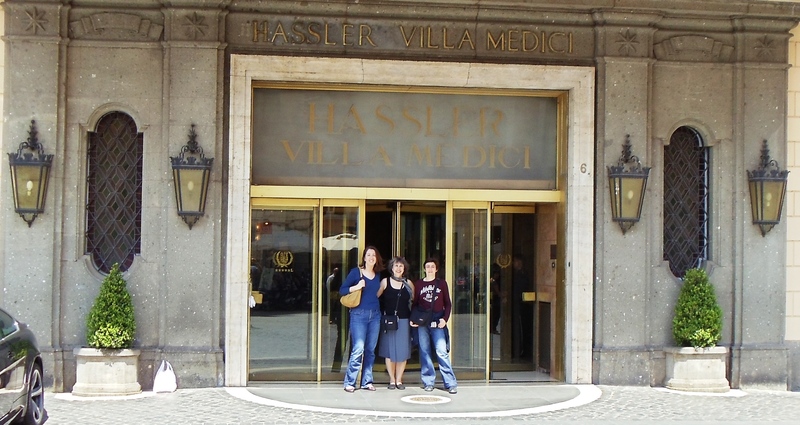 The three of us at Rome’s Hotel Hassler, at the top of the Spanish Steps. Woolf stayed there in 1927. 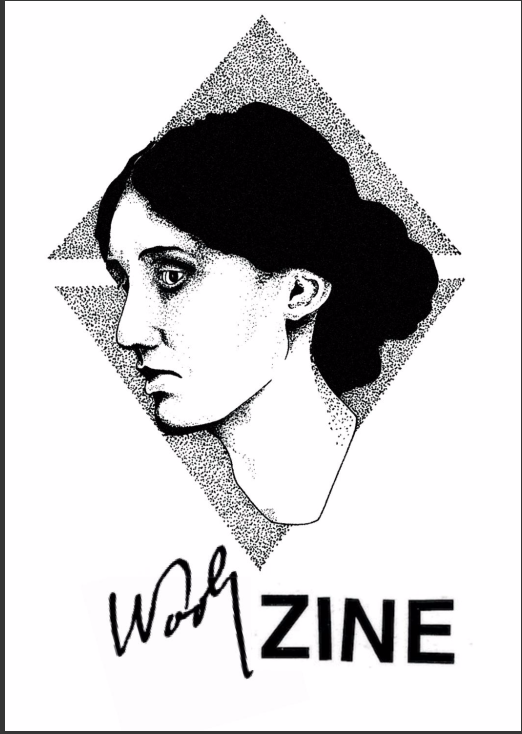 Woolf Zine, a new zine focused on Virginia Woolf, produced its first issue this month and is looking for submissions for its second — and its third. 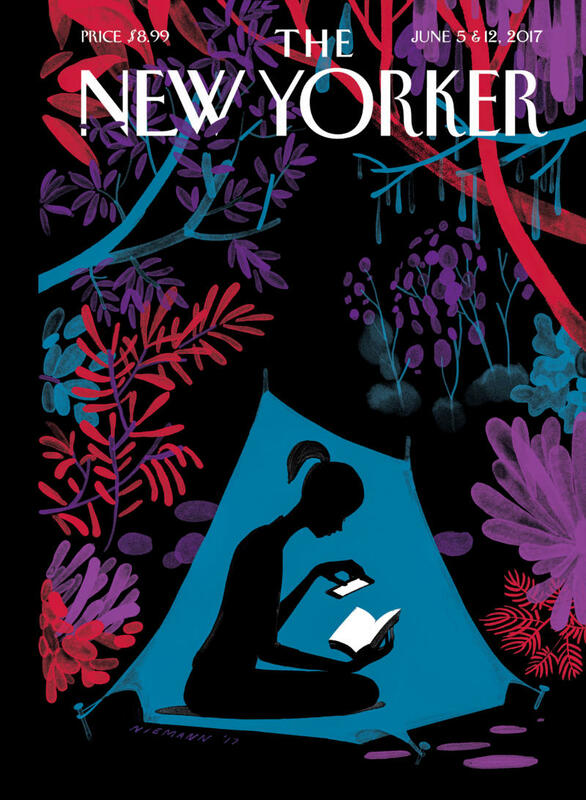 The theme of the first issue is the “Multiple Mrs. Woolf.” It includes a review of Maggie Gee’s Virginia Woolf in Manhattan, as well as a story on Woolf tattoos and a piece by Blogging Woolf contributor Alice Lowe on her stay in Lewes, near Woolf’s Monk’s House. 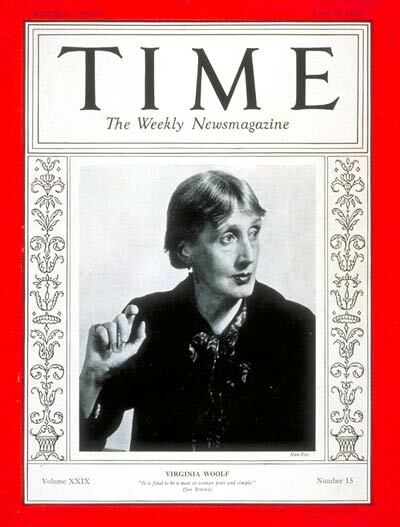 The theme of the second issue is “Woolf and Others,” with “Woolf and Politics” the focus of the third. Submissions can include illustrations, articles, arguments, creative work, narratives, poems, questions, queries, collages, short essays, stories, case studies, fan fiction and more. Contact Woolf Zine at: woolfzine@gmail.com; follow on Twitter at @woolfzine. There’s a new Woolf zine in town. And it’s apparently called Woolf Zine. The zine is looking for illustrations, articles, arguments, creative work, narratives, poems, questions, queries, collages, short essays, stories, case studies, fan fiction and more to fill its first issue, due to be published Dec. 1. The zine will be hand printed and distributed to universities across the UK and America. Those who contribute will also get a free download link so they can print one at home. If Virginia Woolf had a personal assistant, here’s the tale she might tell — according to comedian Gaby Dunn.